Just a bit more than a year ago I started writing this blog. It got me thinking about this first "Blogiversary" and I couldn't help but thinking, "what would this blog say if it could talk"? I know, there I go asking weird questions again. But I have a feeling this idea should be pressed down on and squeezed a bit. What does this blog say to you? I get some basic stats back on this blog so I know how many of you visit and I even have an idea of where you visit from. Oops, that sounds kind of big brother-ish and kind of creepy. But, it's really not. I know for instance that about one third of you are my friends and family from the Midwest. I know that about 2% of the people who see this blog are from overseas. And, I know that people love, love, two types of things that I post. They love my sons artwork and they love crazy hunting or animal videos! But what does this blog say about you? I'm not really sure to be honest. I get quite a bit of feedback from some of you. Mostly in the form of emails and mostly people doing some good thinking on a topic that I wrote about. I hear from multiple people on every political article I write. Some of my favorite comments and thoughts have come to me regarding global warming. And I'm always surprised by how diverse the comments are. I also have really enjoyed some of the running conversations I have had with a whole host of different people. So, does this blog talk? I'm going to say not really. What I mean is that I personally don't think it does it's talking with the words I write or the pictures I use. In fact the only way I find that these words have any importance is in the thoughts that are sometimes spawned along the way, and that is not by me, but by you as you read. What I believe is that the real talking, the real heavy lifting, the real thinking, is done sometimes between the lines and sometimes off to the side or around the corner from what I'm personally thinking about. I am grateful for the conversations this blog has started between myself and others and I hope that sometimes it may start a conversation that I don't get involved in. Anyway, thanks for stopping by and just for fun check out my first blog post written a bit more than a year ago. It makes me wonder, has this been what I thought it would be? I don't really know. But I do know I have more to say, so stop back and see me and let me know what this blog says to you. It has been almost exactly 8 months since I started this blog and what you are reading right now is my one hundredth post. That probably doesn't sound like that much, but I can remember writing 5 or 6 articles before I started actually blogging just to make sure I was serious about it. Anyway, it has been a lot of fun. Thanks for coming by and checking it out once in a while. Over this Thanksgiving weekend, I found a great quote by George Washington. Some of you may know that I am a very big GW fan and have read a lot about him. In fact, I just finished a book written by James R. Gaines called For Liberty and Glory. Look for a book review over the next couple of days. Anyway, this quote is from the first "official" day of Thanksgiving declared by a United States president. 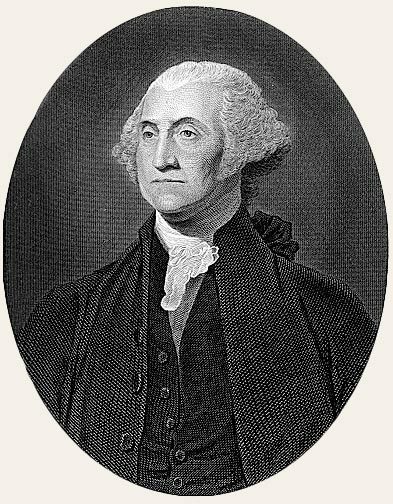 George Washington declared Thursday November 26th as "A Day of Publick Thanksgiving and Prayer." (check out this link, it is really quite interesting). Notably, Thanksgiving has only been celebrated on the 4th Thursday of November since 1941.
and humbly to implore his protection and favors." Here we go! I'm getting started on a blogging adventure for the first time in my life and I am going to act as if someone may actually stumble across my writing and read it. I have all kinds of reservations about this. Like, do I really know what I'm getting into here? I mean, good Lord, why am I really doing this? Maybe it is some kind of mid-life crisis. Who knows? And, that is not to mention my general insecurities like, do I have enough to say, will it be interesting, and finally, in the long run, will I take the time to do this as often as I should? I don't know the answer to those questions, but I am starting on this adventure anyway. One of my friends has said to me, "Will, you're the type of guy who might jump out of any airplane and then check for a parachute". Maybe he is right. I know that I have something to say about running. I ran two marathons last year and I'm training for one this spring. I am a regular reader of history and business books. I love to share the books I'm reading and talk to others that are reading or have read the same or related books. I am a Christian man that is active in my church in a number of areas. One of the areas my wife and I are active is our church's teen group. You will definitely see me writing Bible related articles. And finally, I love outdoor activities such as hiking, camping, and hunting. I enjoy these activities regularly with my friends and family. In the last year, I guided a week long canoe and fishing trip into NW Ontario, I went on a solo-hiking trip into the San Juan Mountains, and I spent 5 days solo on a black powder elk hunting trip. With that said, I am jumping from the safety of my living room couch into the abyss of the blogasphere....whatever that means. Bottom line is I guess we will see how this goes. Parachute anyone?